Trilobite (Asaphiscus wheeleri) under a microscope! 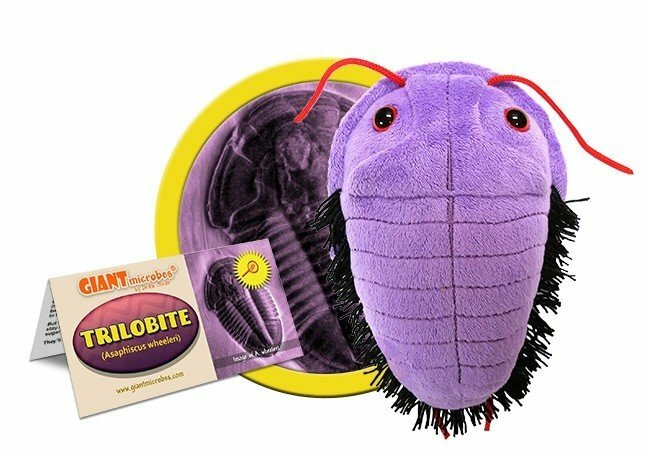 Trilobites were wonderful creatures that went extinct before dinosaurs ever lived! They were arthropods that evolved over 500 million years ago in the Earth's ancient seas. Today, trilobites are favorites among fossil hunters and collectors. 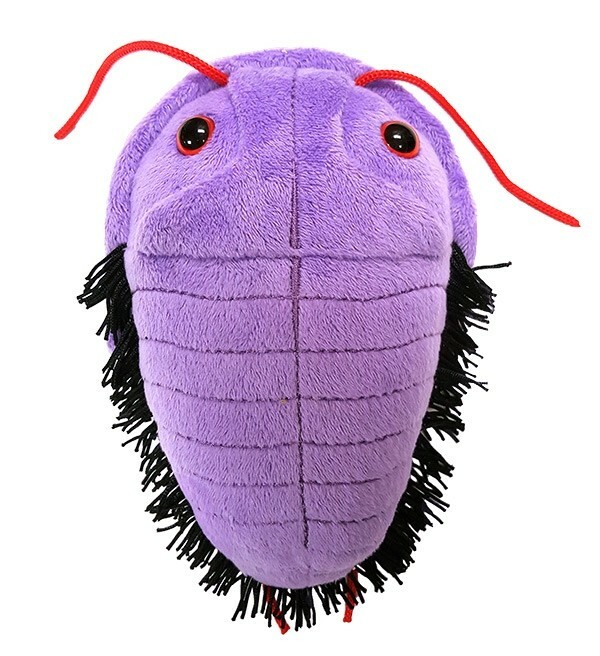 And if you’ve been hunting for a delightful, unique trilobite to call your own, then you’ll certainly want to collect this wonderful plush critter. FACTS: Trilobites were wonderful creatures that went extinct before dinosaurs ever lived! They were arthropods that evolved over 500 million years ago in the Earth's ancient seas. 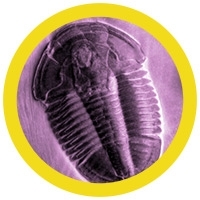 Trilobites were one of the most successful early animals on the planet, thriving for about 300 million years. They are a signature creature of the Paleozoic Era, when complex life forms began to proliferate, including most invertebrate groups as well as fish and reptiles. The Paleozoic Era ended by the greatest mass extinction ever in geological history when some 95% of all marine species went extinct, including the trilobites. But lucky for us, trilobites are the most diverse group of animals preserved in the fossil record. During their reign, trilobites evolved into over 20,000 species. The smallest was under 1 cm, while some grew to 0.5 meter (over 1 foot). Trilobites are distant relatives of lobsters and spiders. They are named for the three axial lobes that divide their body length-wise. They were likely the first life forms to have complex eyes and some types had hundreds of lenses per eye. Due to their hard exoskeletons trilobites left an excellent fossil record. Even prehistoric people loved trilobite fossils and they used them to make amulets. Today, trilobites are favorites among fossil hunters and collectors. Their beautiful and recognizable fossils are found in rocks all over the globe. So be on the lookout for trilobites in your backyard!